It’s inevitable, you are going to come across at least one unhappy customer when working in a restaurant. Most customer service representatives avoid conflict and do their utmost to turn attention away from the problem by deflecting the complaint and reciting “company policies”. Staff are only human and they will experience frustration which will lead to an unapologetic tone when expressing regret for the customer’s issue. Some staff members will even become defensive when face with a distressed customer which only serves to fuel the fire. The customer is then left with the impression that is listening and no one cares about their problem. Rather view customer complaints as an opportunity to win a customer for like. It may seem like a foreign concept but it pays off in the long run. Teach your employees H.E.L.P. 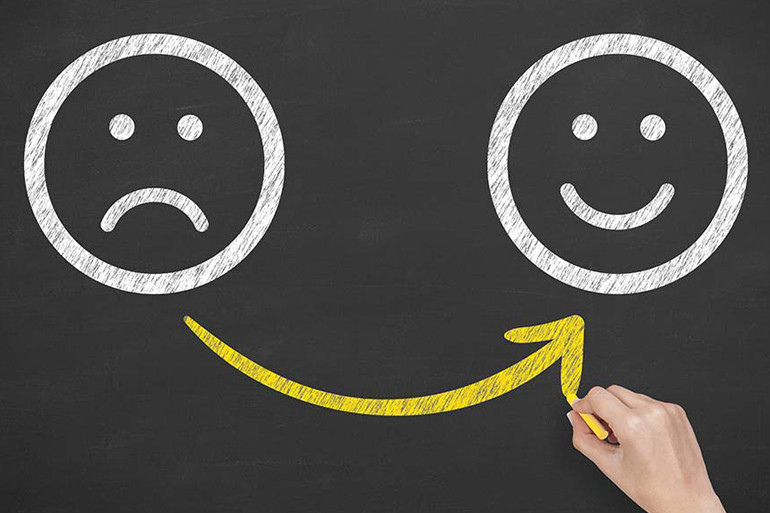 – it is easy to remember and outlines four steps to follow when dealing with an unhappy customer. Listening is possibly the most important step. Give the customer the opportunity to vent and get their frustration or anger out. Resist the urge to say something even if they are being unreasonable. Interjecting at this point will only serve to escalate the situation. Demonstrate you are listening by making eye contact and nodding your head (if the customer is in front of you) or repeat what they have said to confirm you have heard and understood why they are upset (if the customer is complaining telephonically). We’ve all had experiences where we have received an apology and known it wasn’t genuine. Show empathy, it isn’t always easy but it will go a long way towards making your apology sound sincere. Ask the customer what you can do to resolve the issue or make the wrong right. There is a certain risk with doing this but most customers just want to be heard and acknowledged. You may have one or two customers who will request something unreasonable, all you do is advise you are not in a position to do that and offer an alternative. Make sure you follow through on your promise. Take care of the issues right away (this means carrying out whatever resolution was agreed upon in the previous step) and follow up with the customer to let them know it has been taken care of. There will be situations where further action is needed or no solution was realized. For the majority of people, once you have heard them out and empathized appropriately, they will calm down and you can then offer a satisfactory solution.